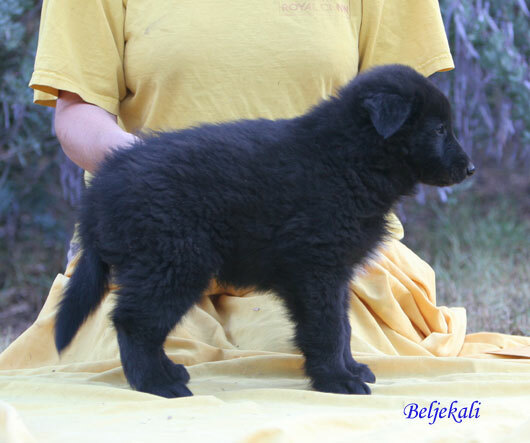 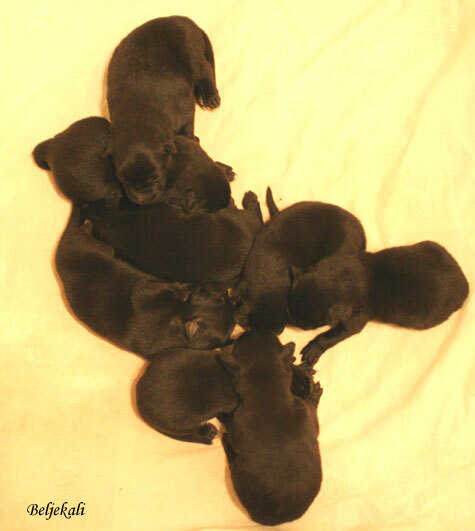 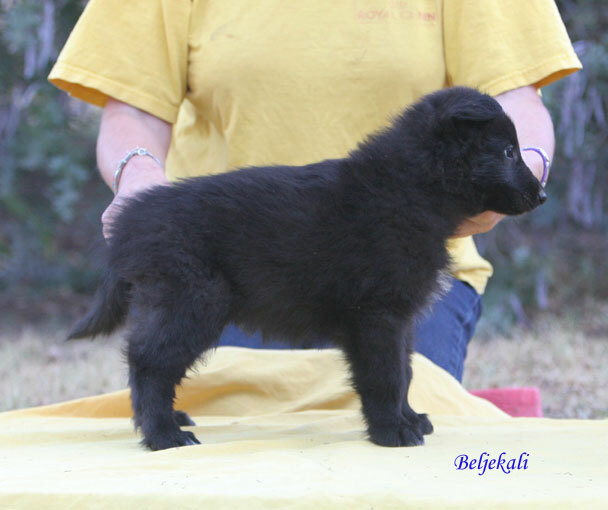 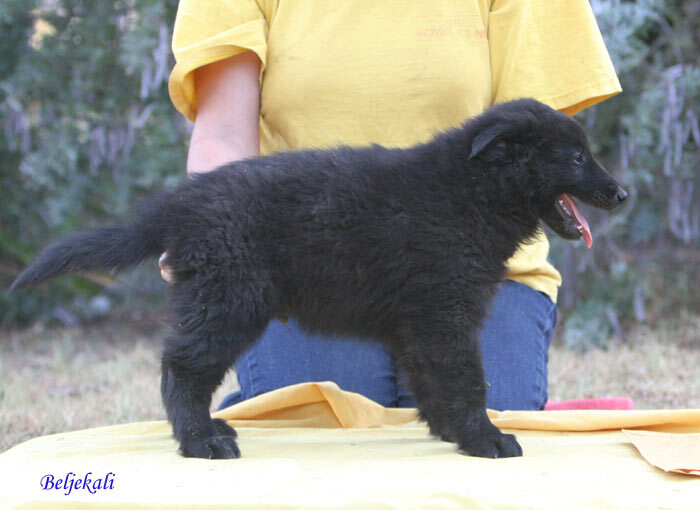 Dam: Ch Beljekali Fleur de Lys "Lily"
Finally the Beljekali S Litter arrived - 3 days overdue! 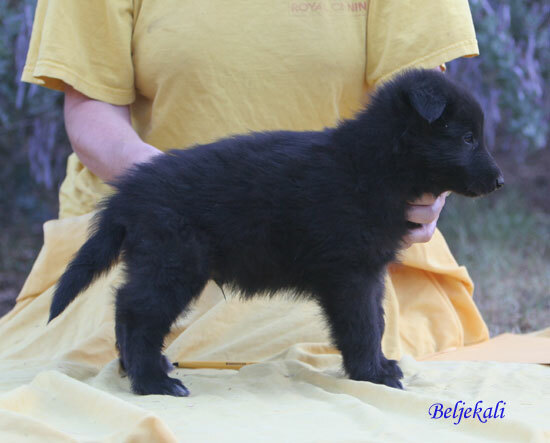 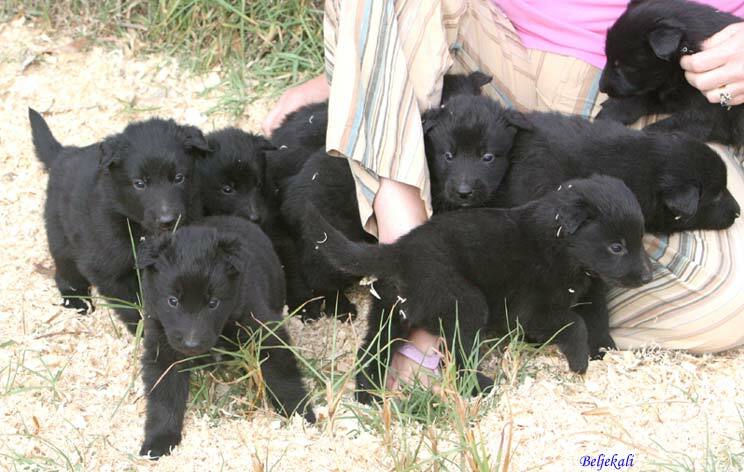 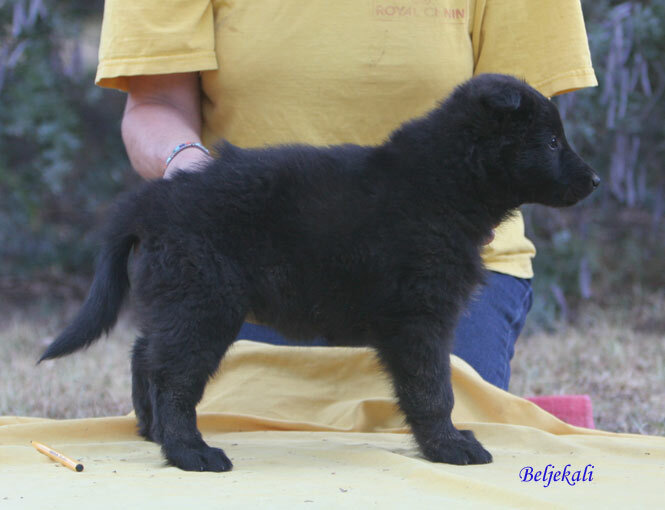 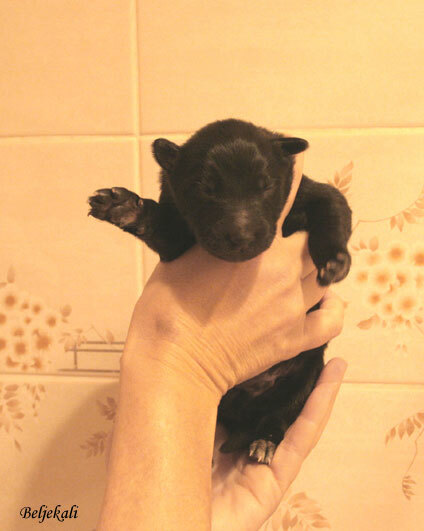 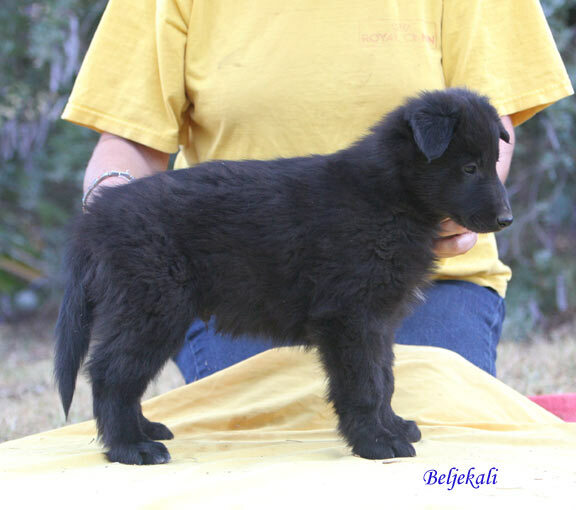 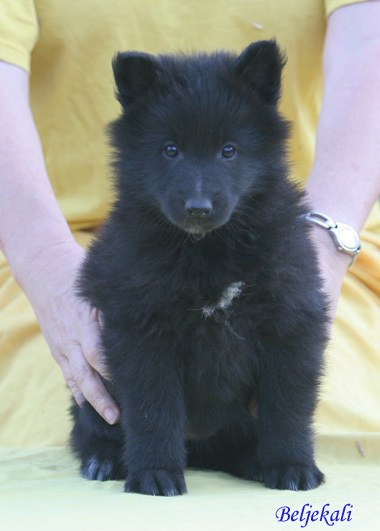 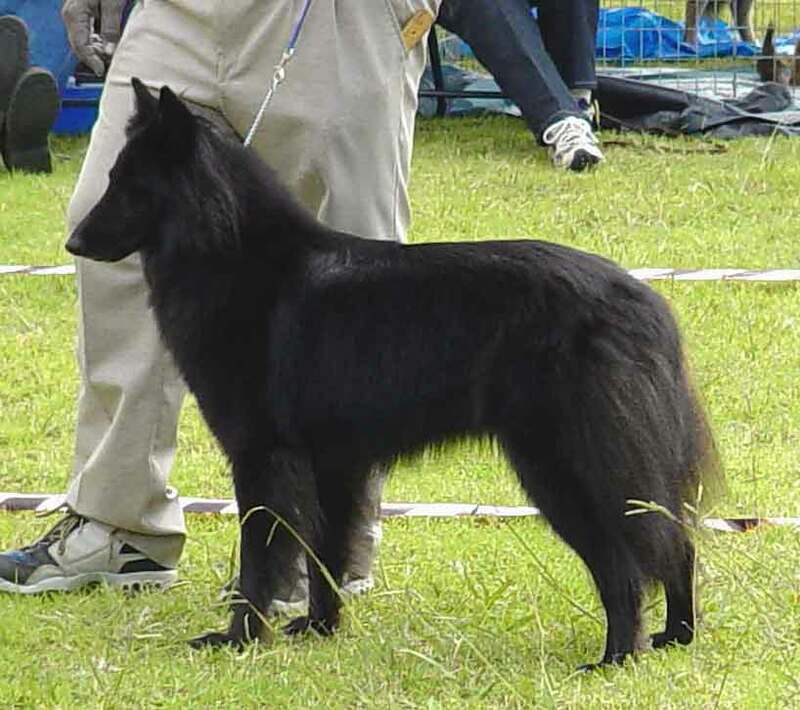 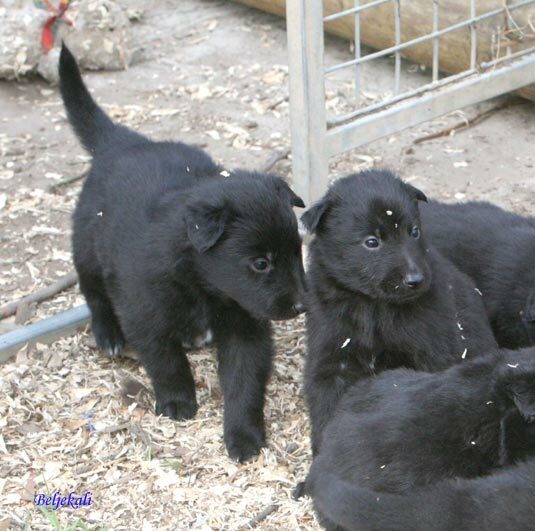 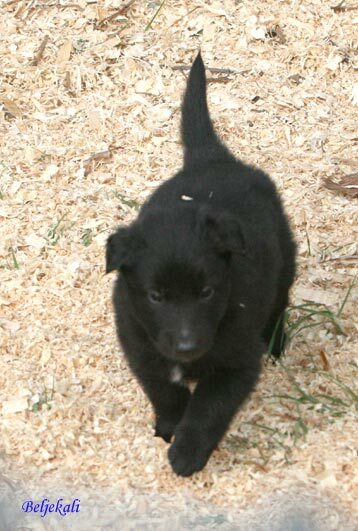 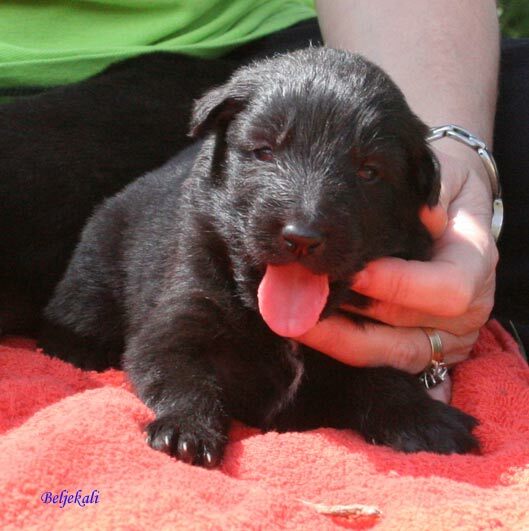 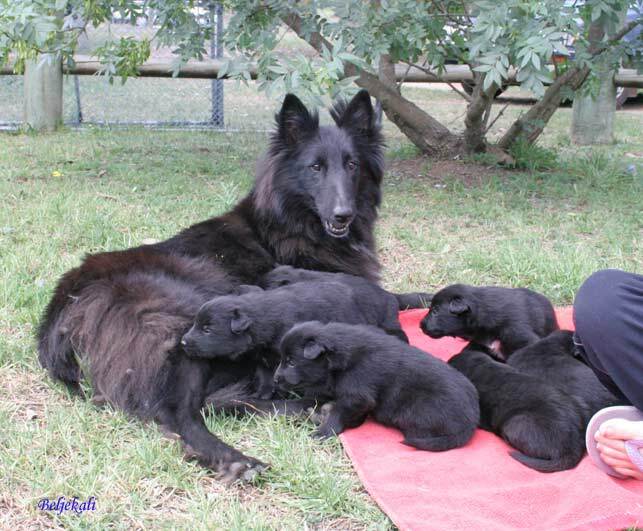 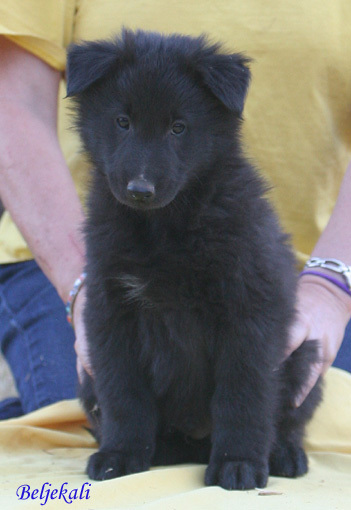 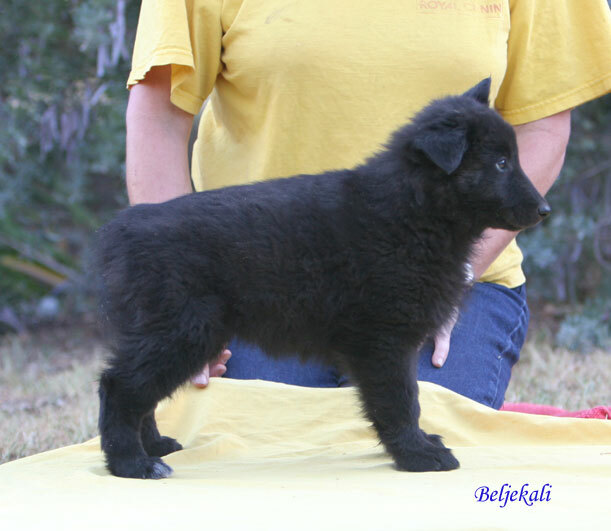 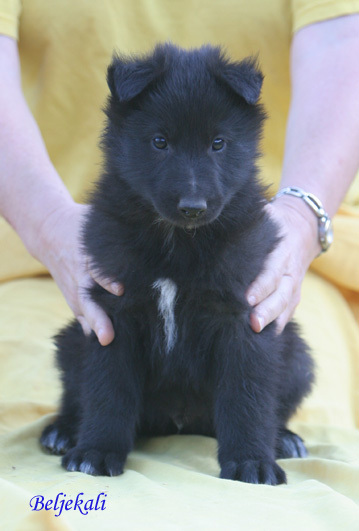 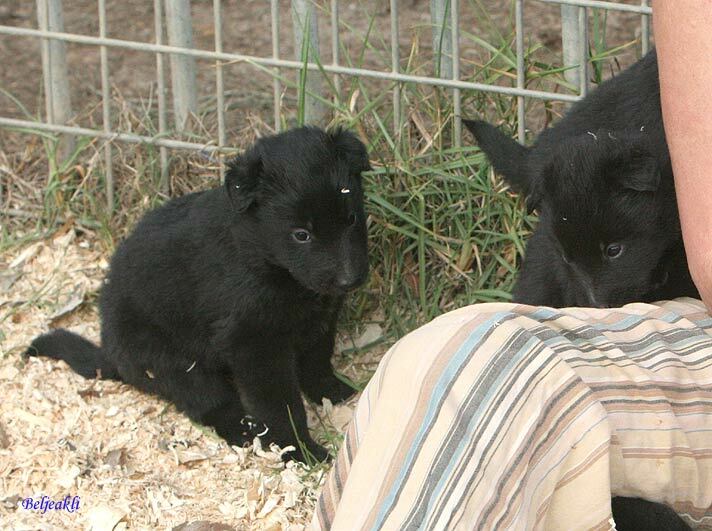 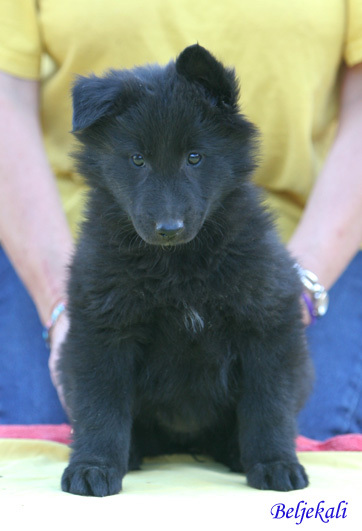 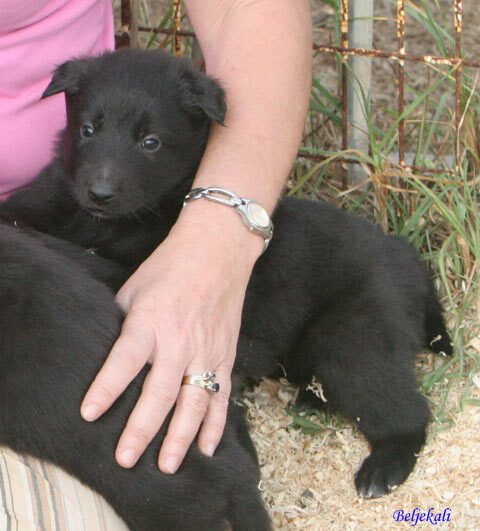 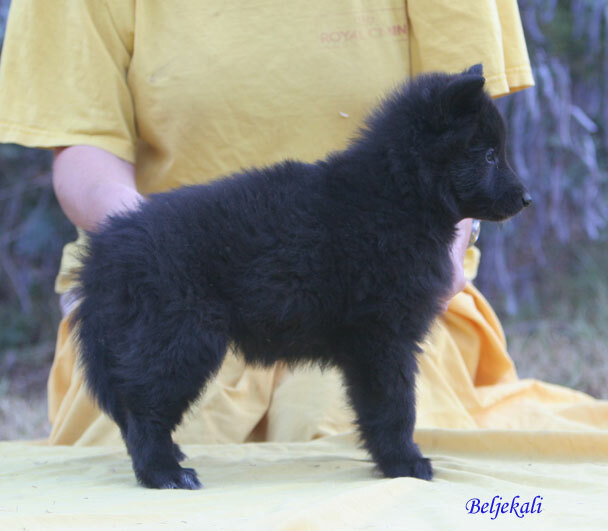 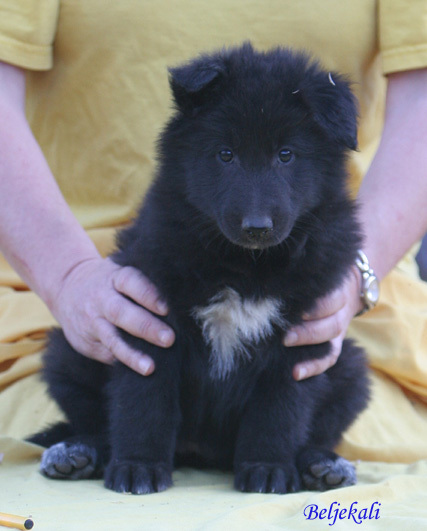 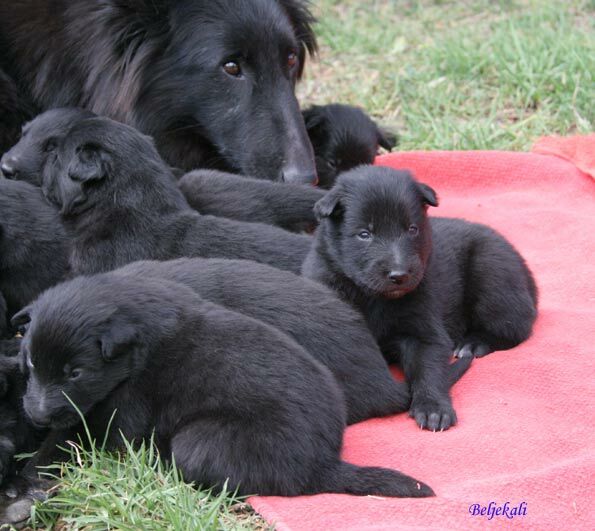 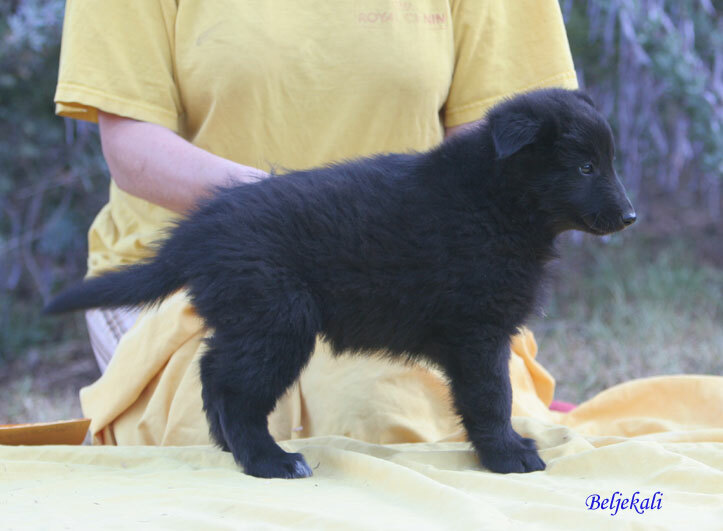 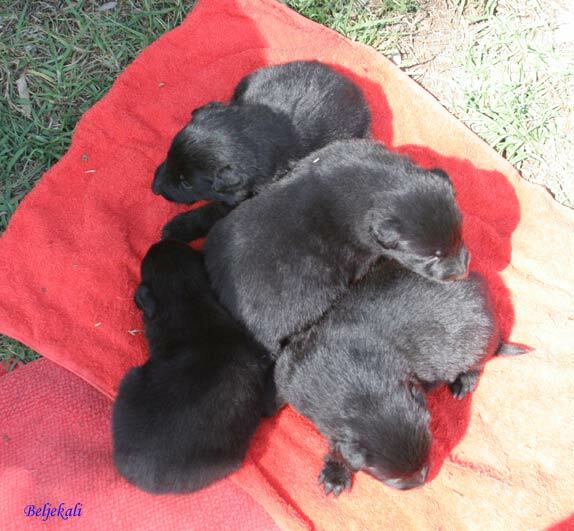 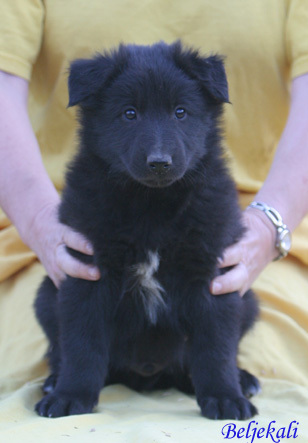 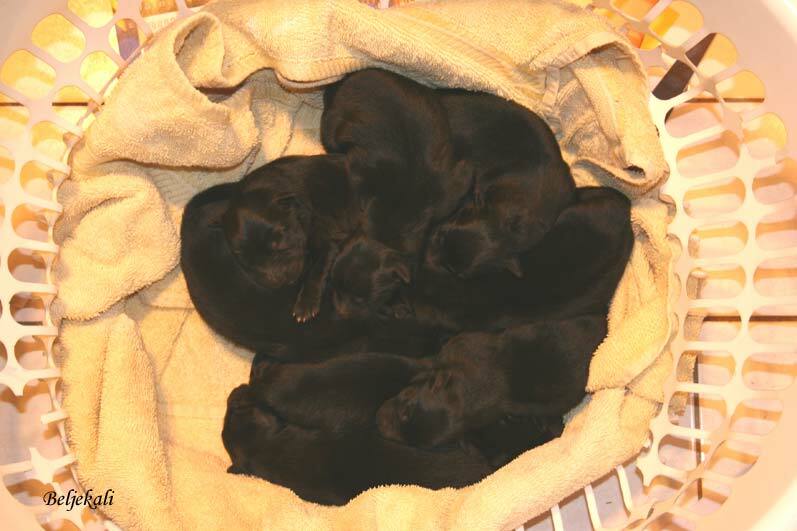 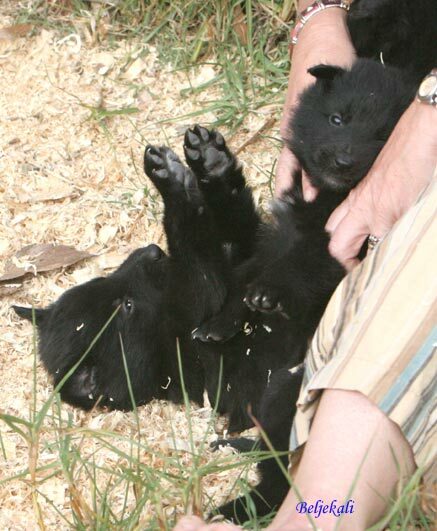 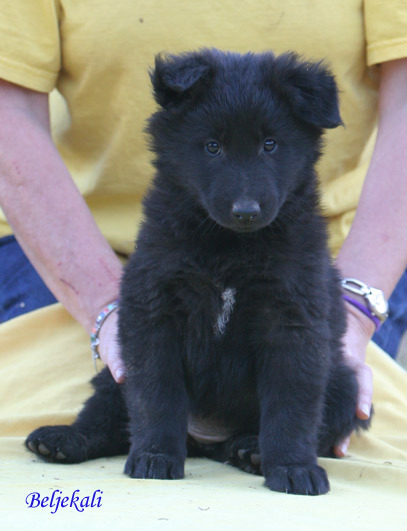 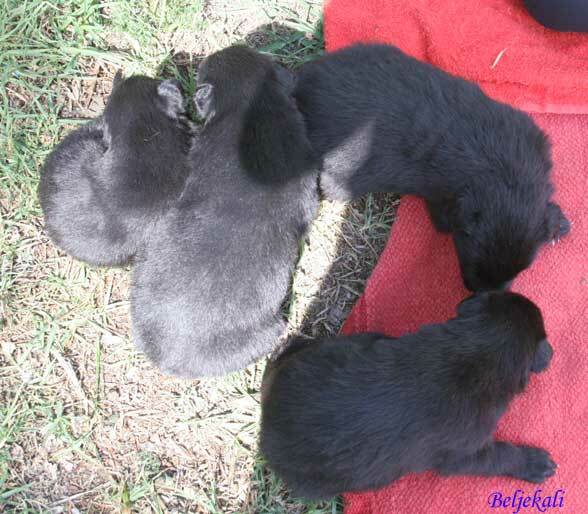 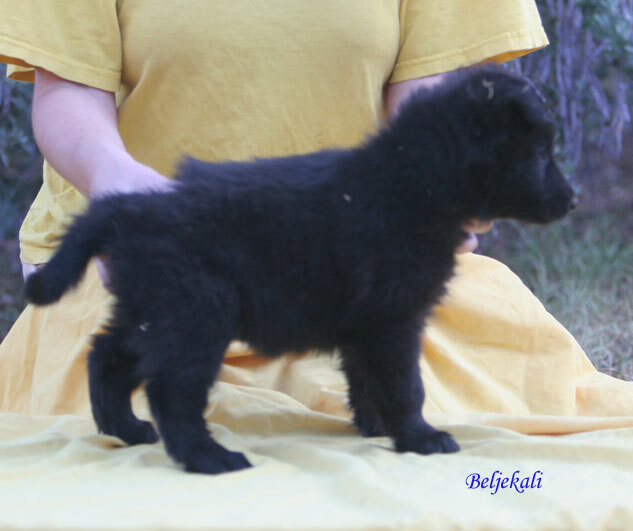 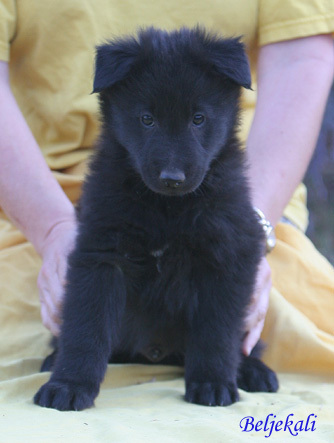 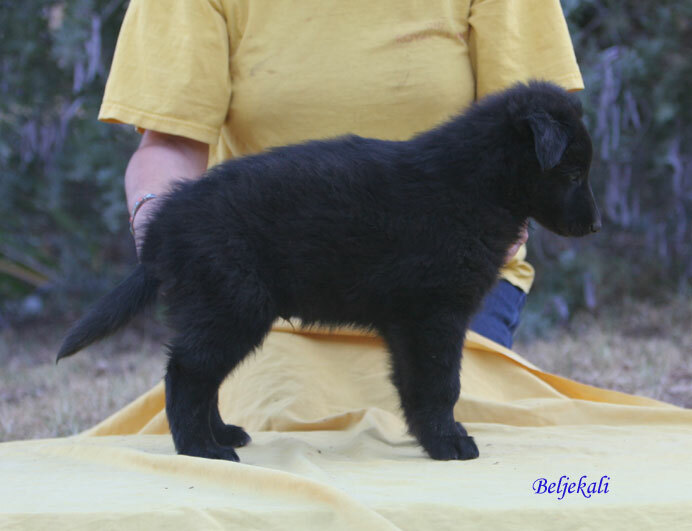 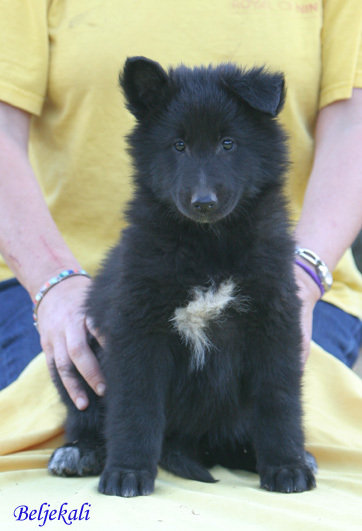 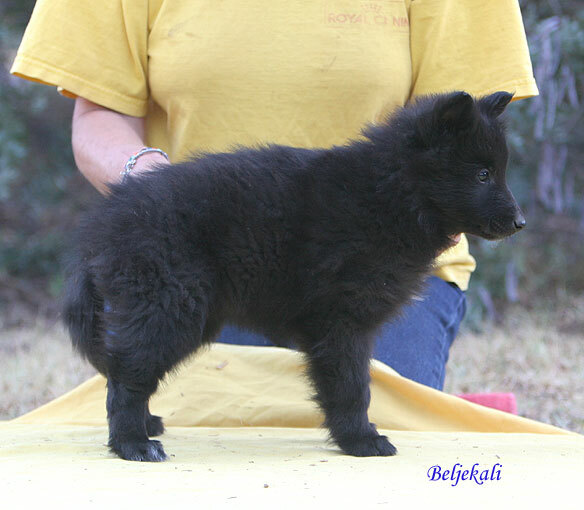 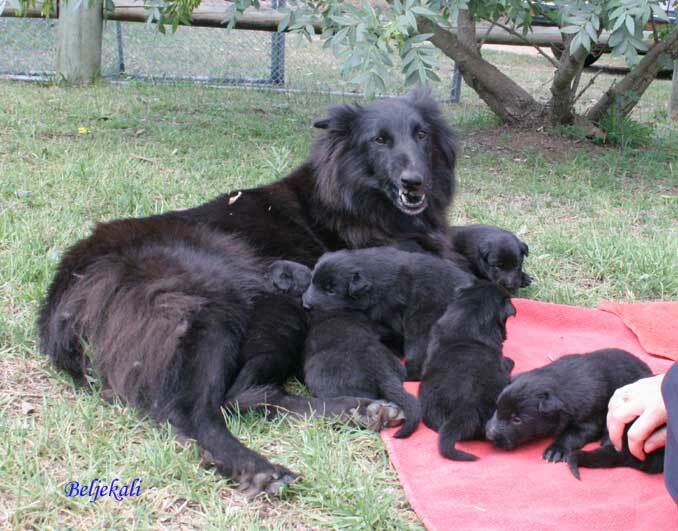 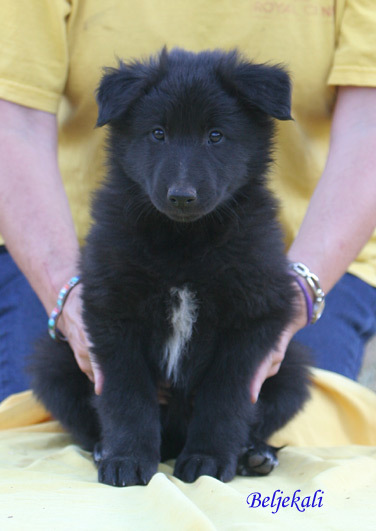 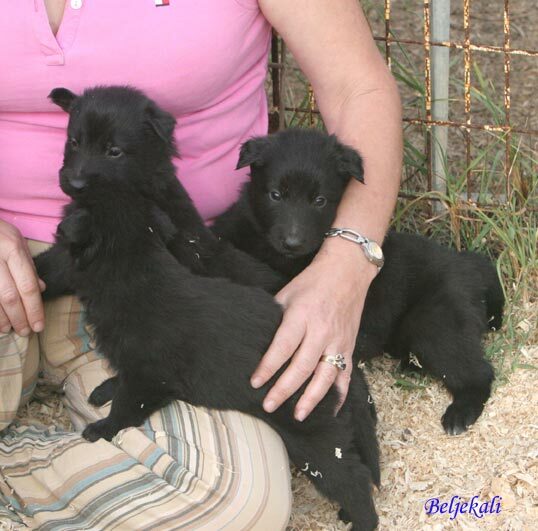 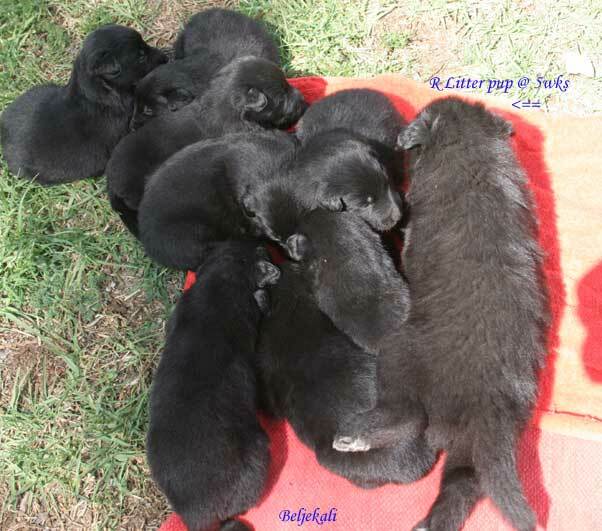 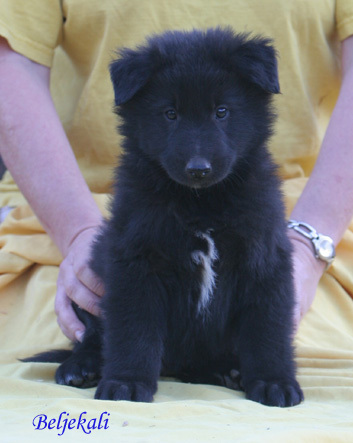 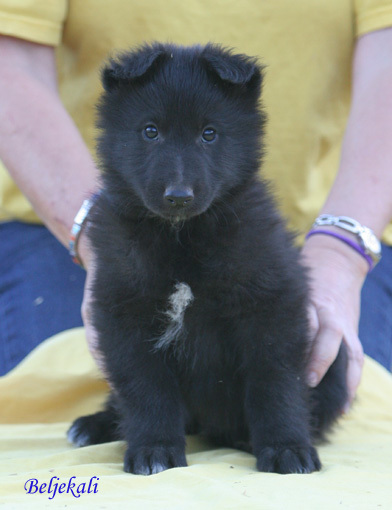 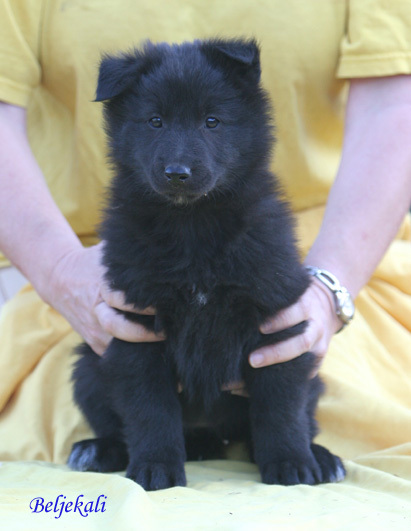 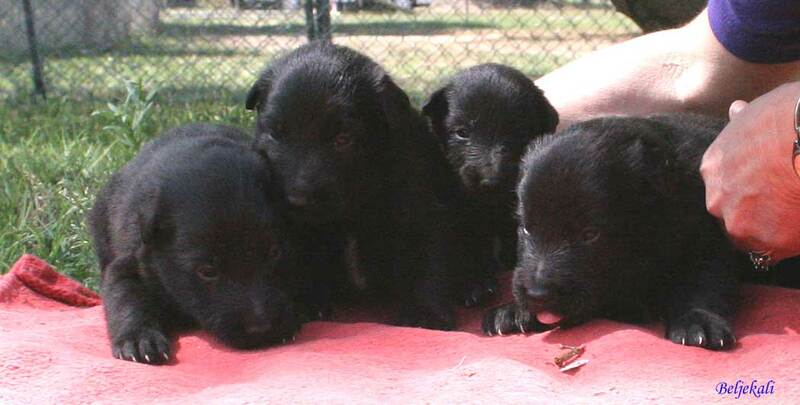 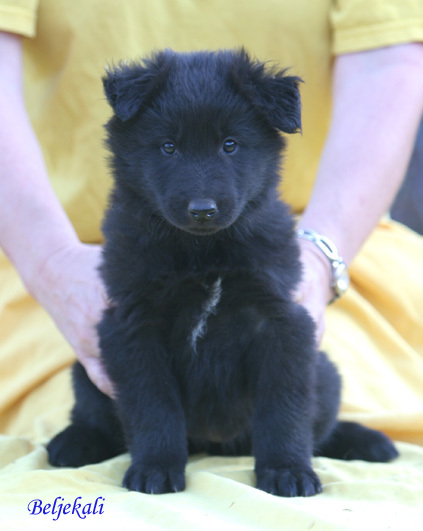 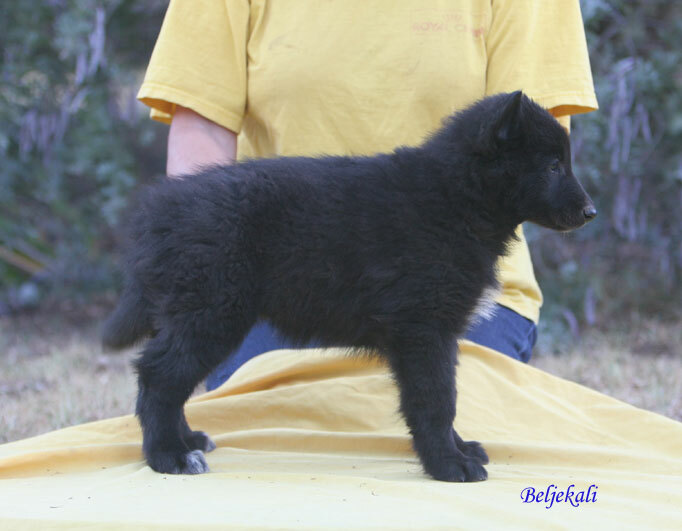 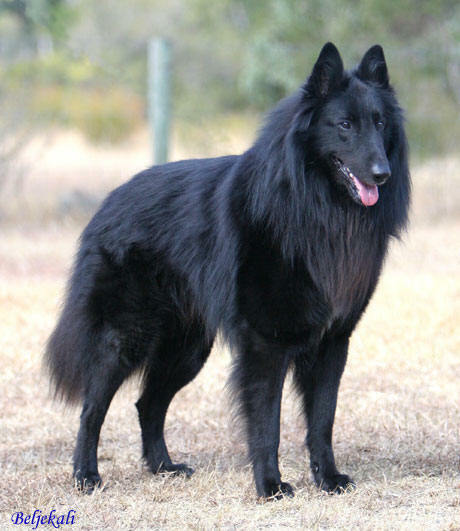 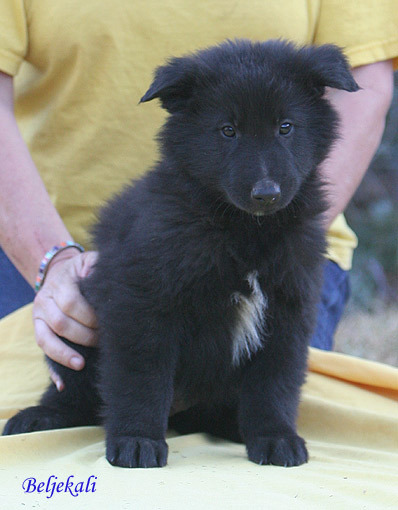 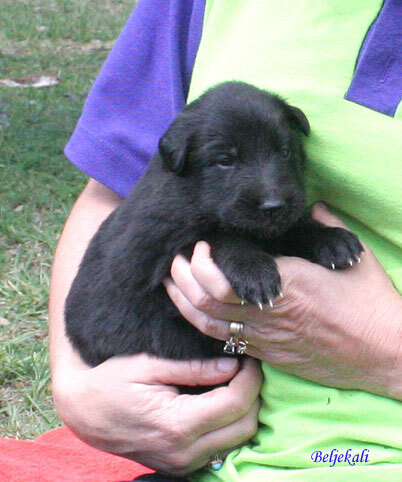 Just after the midnight hour on Thursday 7 September 2006, the first of 8 lovely Groenendael puppies was born with the last pup arriving at 8.25am. 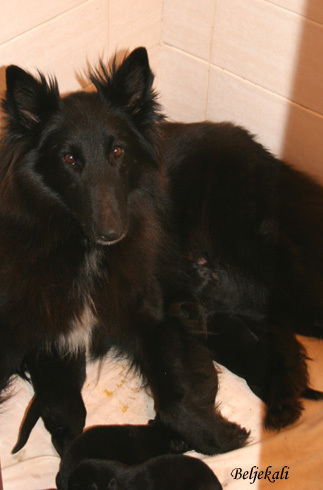 Quite a long labour, however all went well and dear Lily, as always, is a fantastic Mum! 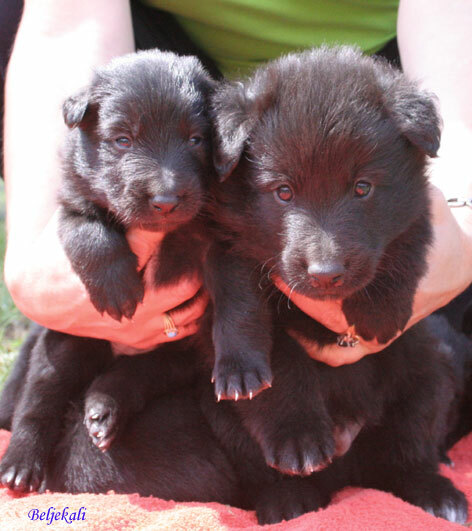 S Litter puppies at 3 weeks & R Litter pup at 5 weeks - comparison!